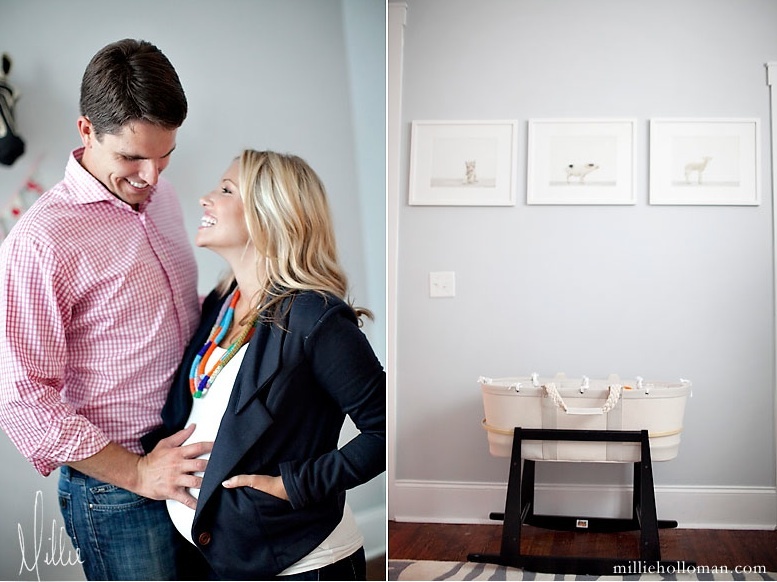 Last week, our good friend Millie Holloman came over to our house to take maternity photos of me and Grayson. I didn't want the kind of maternity photos that were "show your bare belly and naked body wrapped in a sheet" kind of way, but a "this is a happy time in our lives and the last photos we have as just a little family of two." Millie, Grayson, and I always have so much fun together and this was no exception. You can check out more of Millie's work here. She is an amazing photographer and a great friend! oh, I wish I had done pregnancy photos. At the time I couldn't find a photographer I felt comfortable with... :( you look radiant and beautiful! You are absolutely gorgeous! Congratulations! Love your blog. Such beautiful photos and the nursery looks darling! I have the Anthro giraffe head as well and I adore it. One Q~ what is the grey paint you used for the nursery? It's so pretty! These are stunning! I've been following your blog for a few weeks as well and I love it. You have a great sense of style! You look so beautiful and so happy! 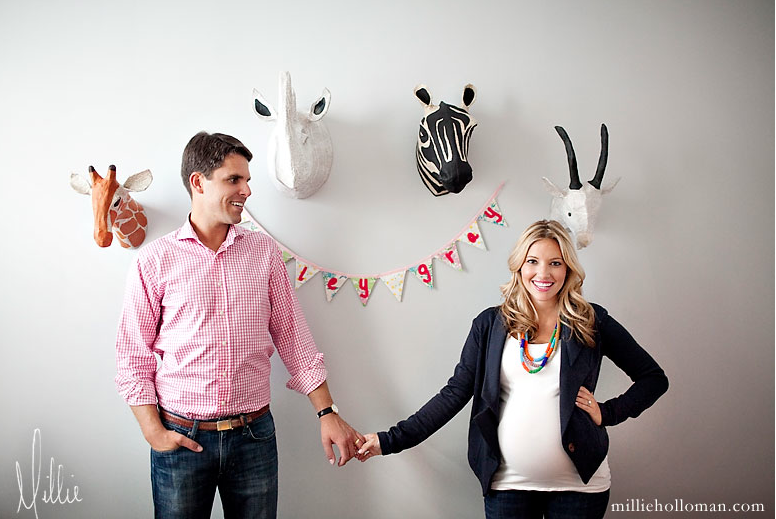 I love the nursery and that moses basket is gorgeous! Those are so adorable and fun! 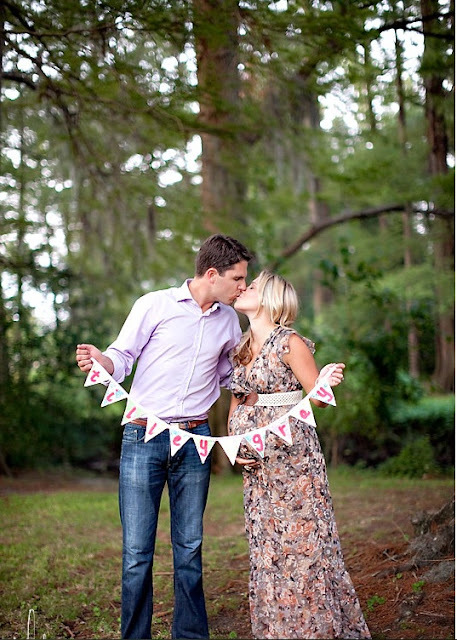 The PERFECT maternity shoot for sure. No naked belly and awkward serious faces. I love all the big smiles. 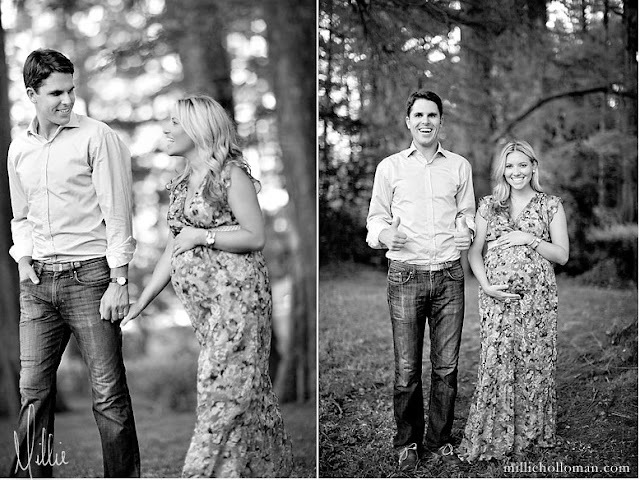 I found your maternity shoot photo on pinterest & fell in love! So tasteful! Ours are next week and I'm also adamant about this not being about my bare stomach! Do you mind sharing where you found your dress? Your photos are absolutely stunning & SO fun! Congratulations! !